Habitual gamblers are more likely to believe they see patterns in random sequences of events, and to act on that belief, than the general population, according to new research. Wolfgang Gaissmaier, a psychologist at the University of Konstanz in Germany, and his colleagues studied how habitual gamblers, recruited from among the regular patrons of the Akwesasne Mohawk Casino in upstate New York, used a cognitive strategy known as "probability matching" in a betting scenario. The regular gamblers, who ranged from slot machine players to those who frequent the blackjack table, were compared to members of the general public. Gaissmaier's team showed participants an image of a casino floor with two slot machines highlighted, and asked them to predict which one would give a payout on the next spin. Each participant repeated the exercise nearly 300 times. The probability of winning was 67 percent for one machine, and 33 percent for the other, but the sequence of wins was random (and the participants didn't know about the different win rates in advance). In a situation like this, the best strategy is to always bet on the more likely winner, which gives you a 67 percent chance of success. But many people will instead sniff out the different win rates, and closely match their guesses to it, choosing one option over the other in roughly the same proportion, even though this only gives an average win rate of a little over 51 percent. This is known as probability matching. "People are under the illusion that they can outsmart the system," said Gaissmaier. He wondered if gamblers were more prone to that illusion. The results of the experiment, published in the Journal of Gambling Studies last week, showed that gamblers did indeed use pattern matching more than others. The team also measured the impulsiveness of the two groups, using a test known as a cognitive reflection task. In it, people are asked questions such as: "A bat and a ball cost $1.10. The bat costs $1.00 more than the ball. How much is the ball?" The intuitive answer of 10 cents leaps to many people's minds, but the correct answer of 5 cents requires more careful thought. The gamblers scored much lower on the test, and that impulsiveness accounted for their increased use of probability matching – in effect they were more likely to impulsively bet on their false sense of having spotted a pattern within randomness. "Gamblers have a stronger misperception of randomness, and are more willing to bet on it," said Gaissmaier. Gaissmaier thinks that probability matching is a side effect of humans' adaptive ability to spot patterns in noisy data, which would have been helpful when our pre-human ancestors were searching for food. "Evolution has primed us to have a low threshold for detecting patterns," he said. "The downside is that we get a lot of false alarms." Generally, those false alarms are harmless, but people prone to habitual gambling seem to have an even lower threshold, which, when combined with impulsiveness, can lead to problems, he says. But any treatment of gambling addiction would probably have to focus on the impulsiveness side. "Reducing pattern recognition would be very hard, you can only really make people more aware of it," he said. Luke Clark, a psychologist at the University of British Columbia in Vancouver, says this study is important because it is one of the first to show a greater tendency to use these kinds of betting strategies in actual habitual gamblers. But he's not sure how much it will be able to help people control their impulses. 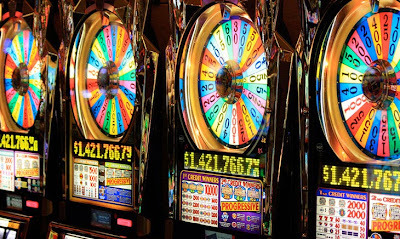 Even if you know, intellectually, that every spin of a roulette wheel is independent of those that went before, it is hard to shake the feeling that after a run of several reds, black is somehow "due" – a situation called the "gambler's fallacy." Many gamblers understand this "in the cold light of day," said Clark, but once the action starts it's like a switch gets flipped in the brain, changing the way people think about the game. "I've been teaching the gambler's fallacy for a long time, but when I see the last five spins of that roulette wheel have landed on black, I have to inhibit that tendency in myself," said Clark. "Even if you know the effect, they are very compelling biases when you're in the game." Brian Owens is a freelance science journalist in St. Stephen, New Brunswick, Canada. He tweets at @BL_Owens.